These French Vanilla Chai Cinnamon Rolls almost guarantee perfect homemade cinnamon rolls with my fail safe "secret" ingredient- cake mix! Lately I have been facing my culinary nemeses head on. First it was fudge with my Mud Pie MoJoe Fudge. 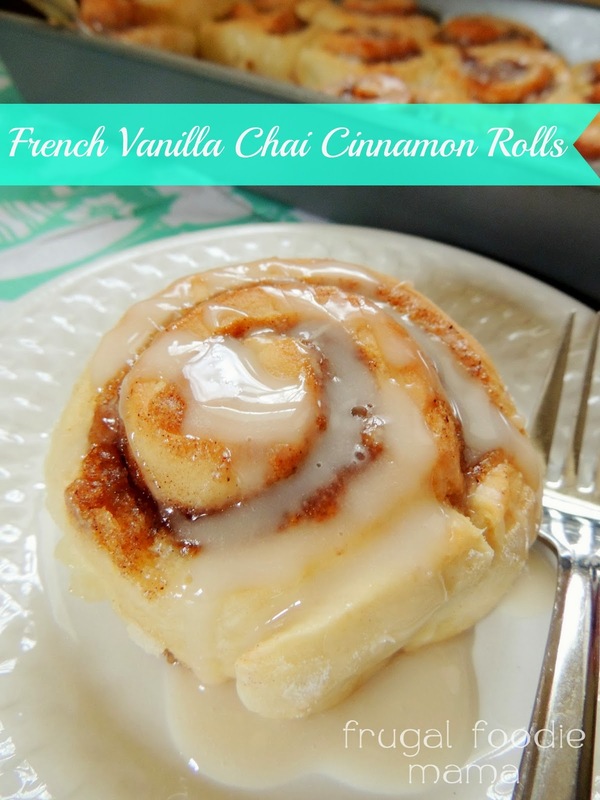 And now, homemade cinnamon rolls with these delicious French Vanilla Chai Cinnamon Rolls. I can't tell you all how many times I have attempted to make homemade cinnamon rolls only to have them come out tough or chewy... or both. The amount of time and effort I put into them just seemed silly, & I vowed to myself after my last cinnamon roll recipe flop that I would only be using the canned refrigerated cinnamon rolls from here on out. Well, folks... I found a compromise with using cake mix! Earlier this week, I shared with you all my recipe for French Vanilla Peppermint Bark Cookies using just half a box of french vanilla cake mix. In a small bowl, add the yeast to the warm water. Let sit until the yeast is dissolved. Meanwhile in a large bowl, whisk together the cake mix, flour, and salt. Add in the yeast/water mixture and mix well. Cover with a clean cloth and allow to rise for 1 hour. Punch down the dough and then cover and allow it to rise for another 30 minutes. Spray an 13x9 inch baking pan with cooking spray. Set aside. In small bowl, whisk together the brown sugar and the spices for the filling. Add in the butter and mix well. Set aside. Once the dough has risen for the second time, turn out onto a well floured surface. Knead 5-7 times, and then roll out into a rectangle to about 1/4 inch thick. Spread the brown sugar/spiced butter evenly over the rectangle of dough. Starting with the bottom of the rectangle, roll the dough lengthwise into one long roll. Cut into 12 even slices. Place swirl side up in the prepared pan. Cover with the cloth and set on top of the warm stove. Allow to rise on the preheating stove for another 20-30 minutes. Once they have risen for the third time, bake for 15-25 minutes or until the edges are golden brown. Allow to cool at least 10 minutes before topping with the glaze. To make the glaze, whisk together the powdered sugar, milk, and vanilla in a small bowl until smooth. Drizzle over the baked cinnamon rolls. 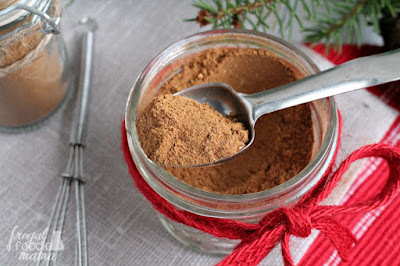 **You can replace the spices in the filling with 3/4 tbsp of my DIY Chai Spice Mix. ** If you need these for a larger crowd, you could use the entire box of cake mix & double the ingredients listed above. Using the entire box will make 2 dozen cinnamon rolls. This recipe is adapted from THIS ONE from Six Sisters' Stuff. I have to tell you all... I was super tickled with how perfect these cinnamon rolls turned out! You still have to carve out a little time to let the dough rise, but using the cake mix acted as a fail safe for me. It ensured that the rolls turned out flaky and soft. And guess what? They were 10 times better than those canned cinnamon rolls- well worth the little bit of extra effort and time! Have you tackled any of your culinary nemeses lately? Did you finally deliciously overcome them?